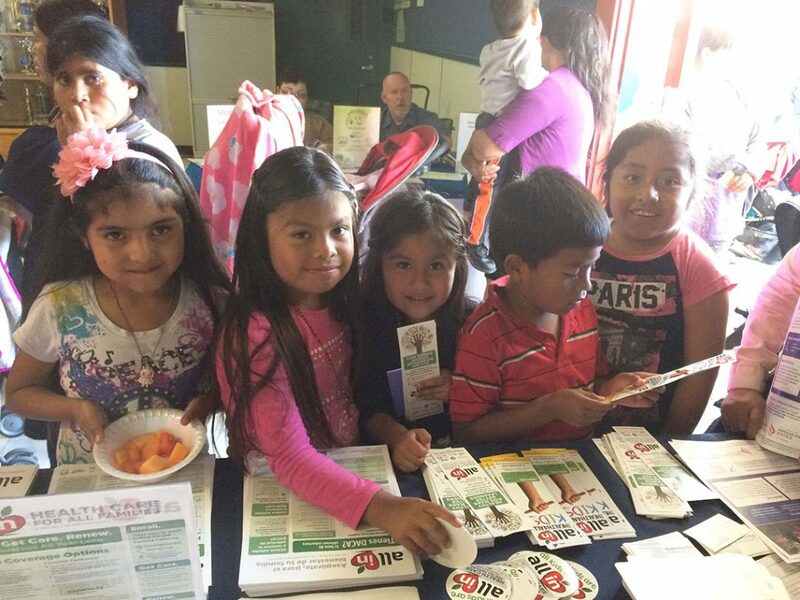 We partner with immigrant, health, consumer, and other community organizations across the state to educate California families with children newly eligible for Medi-Cal under Health4All Kids about their eligibility for quality, affordable health coverage. 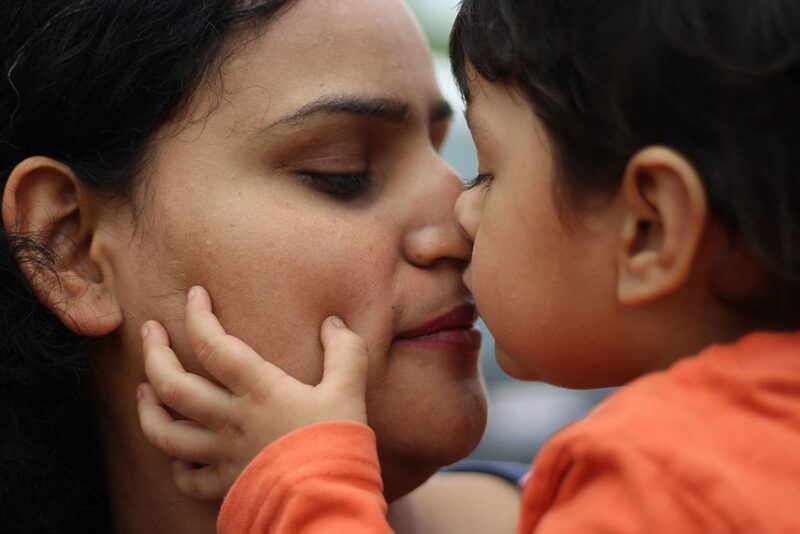 Through our ALL IN For Health Campaign, we are partnering with trusted organizations to equip them with easy-to-use tools and technical assistance to educate and connect immigrant families to coverage. 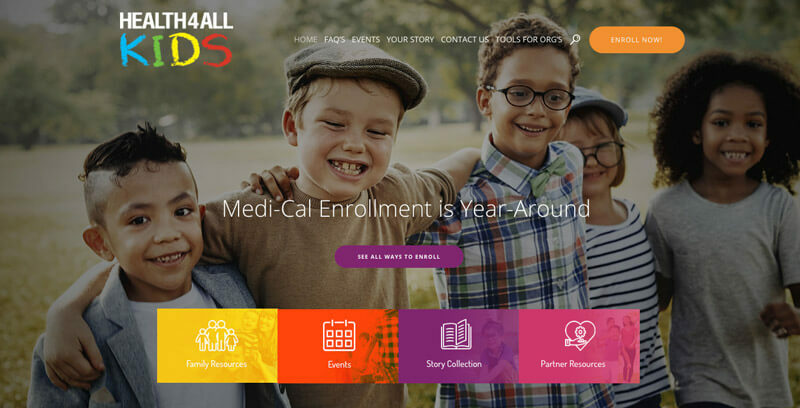 During the last two decades, California has made multiple concrete steps to support children’s health. 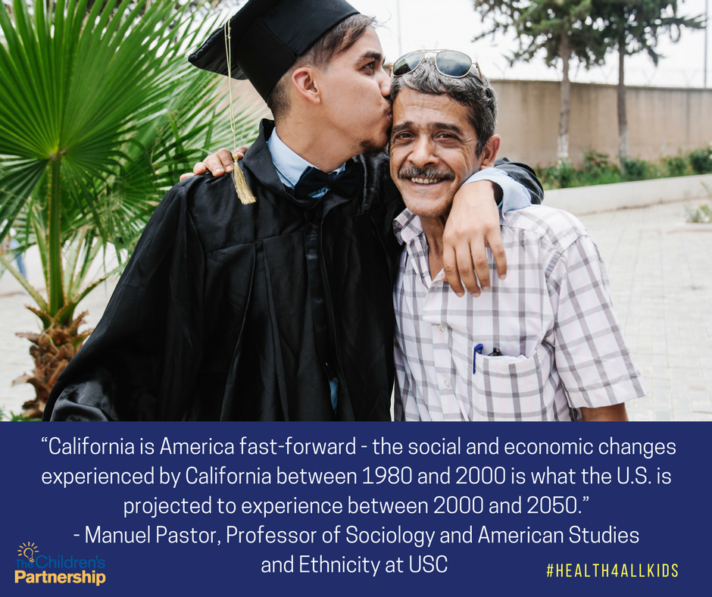 From leading ACA efforts to invest in programs for immigrant communities, California’s children—half of whom are part of an immigrant family—are direct beneficiaries and an example of how state and local leadership is needed to advance as a nation. 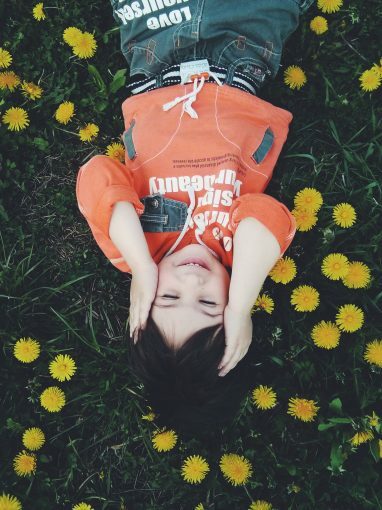 Today, California covers an estimated 98% of children and youth with comprehensive health coverage through the Affordable Care Act (ACA), Children’s Health Insurance Program (CHIP), and the State’s expansion of Medicaid to all children, regardless of immigration status. Continued efforts at the federal level to reduce funds for programs that support the health and wellbeing of children threaten this achievement and create an environment that heightens the state and local response to prioritize the needs of children and families. Our new report, A Golden Opportunity: Lessons from California on Advancing Coverage for All Children, provides a roadmap of how California got to coverage for all children and provides universal lessons for future social change to sustain the well-being of all of California’s children and their families. While based on California’s experience, these insights can be adapted to fit the unique set of circumstances in other states and localities. In California, the efforts of a diverse coalition of advocates paved the way to critical change for immigrant families and their children. The efforts of a diverse coalition of advocates paved the way towards critical change for immigrant families and their children in California, and this report is a testament to our shared commitment. We look forward to working with our partners and our government to ensure children in all families are healthy, feel secure, and continue to thrive. 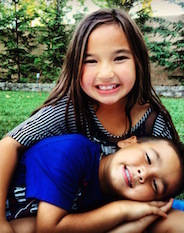 Check out our blog post on Health4All Kids. You can also find it below. The path to all kids covered in CA proves the arc of the moral universe is long but it does bend toward justice. 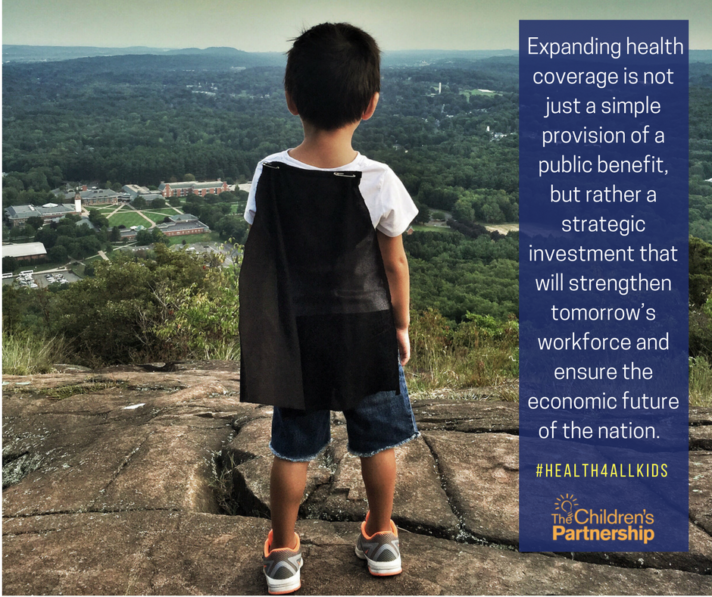 Read how CA got to #Health4AllKids in new TCP report. Threats to the #ACA affect California’s hard-fought victories in securing health coverage for an estimated 98% of children and youth. We need to expand on the progress & continue investing in the wellbeing of all our kids. 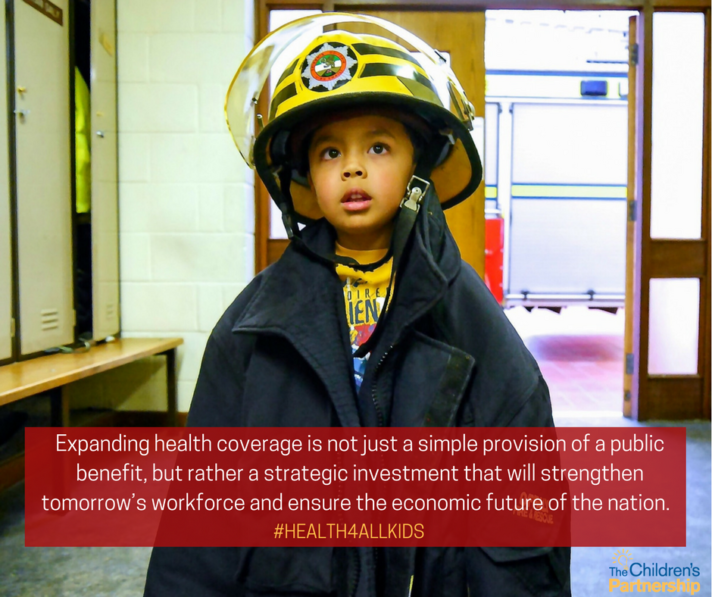 Learn how in on our upcoming #Health4AllKids Report. 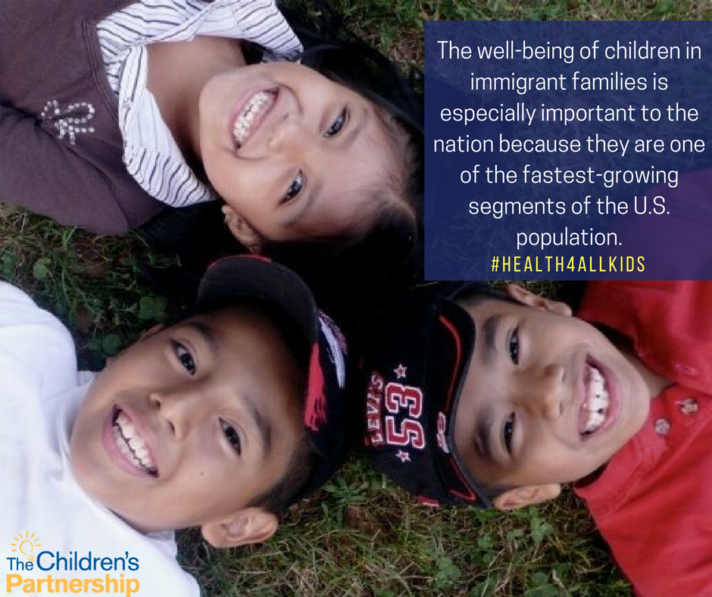 DYK: #Health4AllKids Act expanded #MediCal regardless of immigration status, to nearly 200,000 CA children? However, threats to #CHIP can impact the improvements we’ve gained. Learn more in our #Health4AllKids Report. 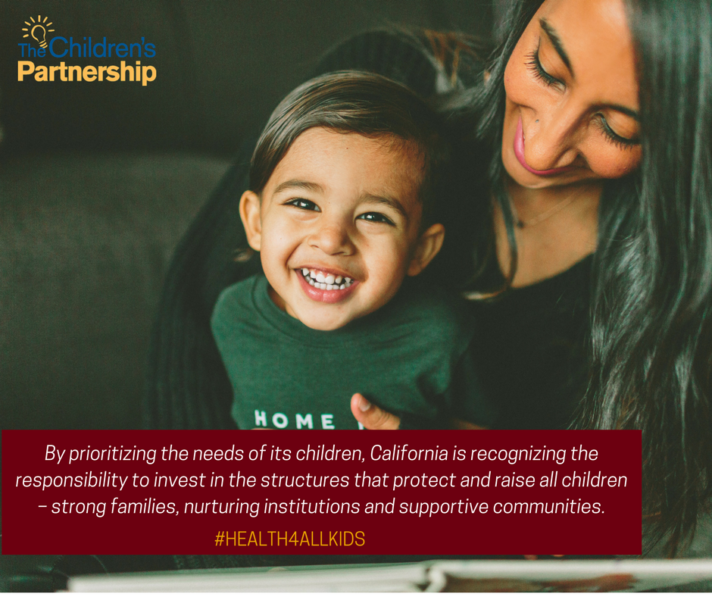 Thanks to #Health4AllKids, more CA kids have access to physical health, mental health & dental services but threats to #ACA & #CHIP can impact the improvements we’ve gained. Learn more in our upcoming #Health4AllKids Report.